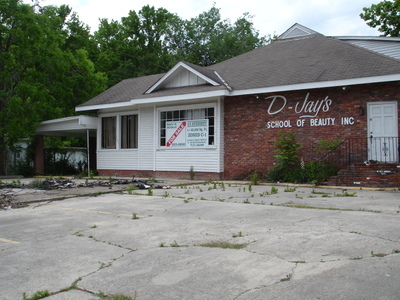 D-Jay's School of Beauty is one of the few businesses featured here on ABR that still exists elsewhere, such as Mitiello's, Shell, and Winn-Dixie. They even have a website on the Internets. 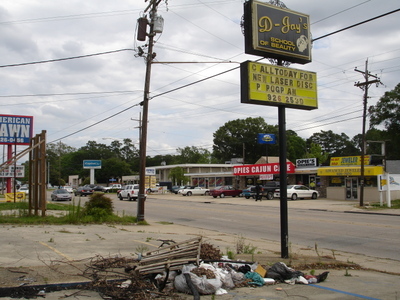 However, the beauty school dropped out of this particular Government Street Location. Judging by this sign, their move must have happened around the time of laser discs.